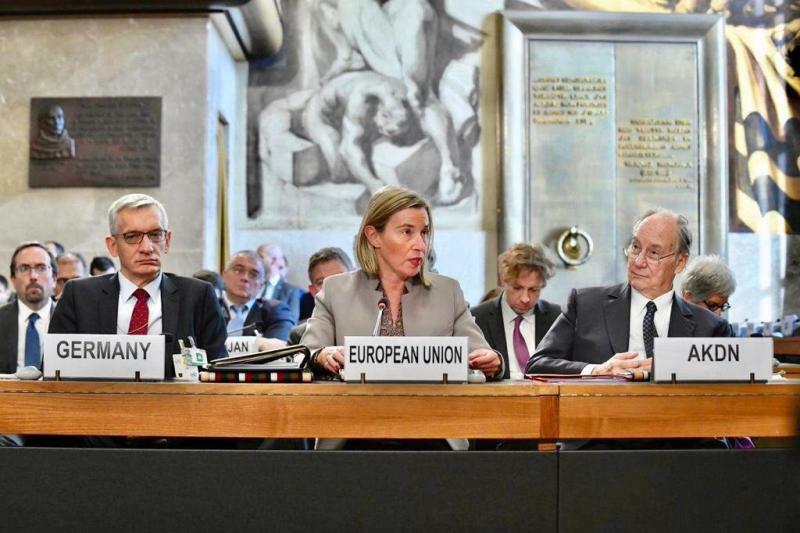 BREAKING NEWS: Geneva, Switzerland, 28 November 2018 – His Highness the Aga Khan, speaking at the Geneva Conference on Afghanistan, today reaffirmed his “enduring commitment to Afghanistan, and, most importantly, to its peoples”. Live on webtv.un.org today. 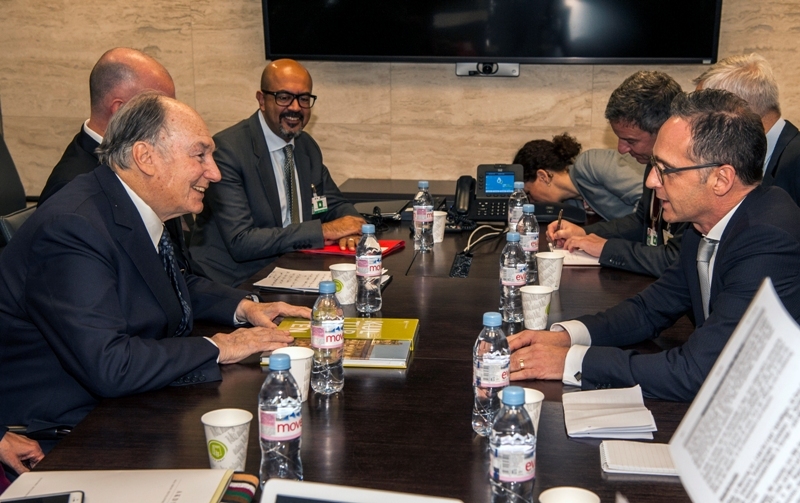 The Aga Khan also stated that “the experience of the past seventeen years has strongly reinforced my conviction that the path to sustainable peace in Afghanistan depends heavily on two key principles – regional cooperation, which is key for national development and stability; and a commitment to pluralism – the country’s diversity must be cultivated as a source of strength. Everyone in all regions should benefit from investment that creates hope for the future. This is a guiding principle of our investment in Afghanistan”. 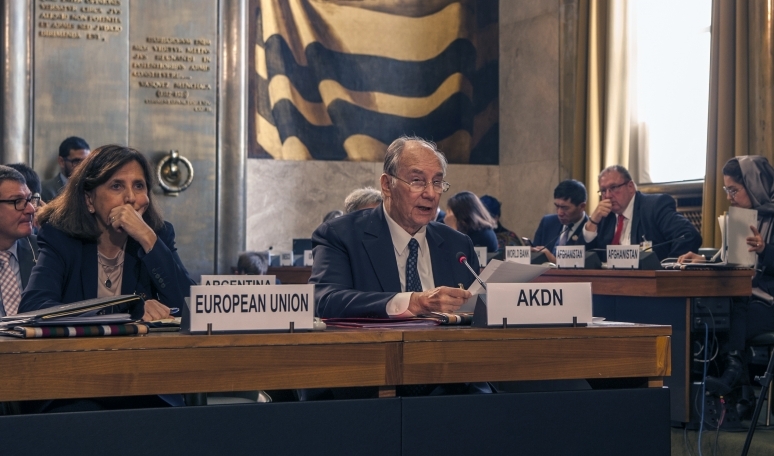 The Geneva-based Aga Khan Development Network (AKDN) is working to improve the quality of life for tens of millions of people in 30 countries. Many of its institutions have been operating in the developing world for over 50 years. Today, the Network employs over 80,000 people. Its budget for non-profit social and cultural activities stands at US$ 950 million. The Network’s economic development arm, the Aga Khan Fund for Economic Development, generates annual revenues of US$ 4.3 billion, but all of its surpluses are reinvested in further development activities, usually in fragile, remote or post-conflict regions. It would seem at times that hope is difficult to sustain. The challenges of building security, alleviating poverty, addressing the impact of climate change, and the complexities of pursuing reconciliation are a few of the cross-cutting areas that dominate our thinking. I would suggest that we should be guided equally by acknowledging and supporting the resilience of the Afghan people. They have recently voted in record numbers, often at great personal risk. And their spontaneous reactions during this year’s brief ceasefire gave us all a glimpse of the country that could be: people from every region and background unified in their desire for peace. The National Unity Government also deserves our recognition and support for its efforts to implement critical reforms and advance Afghanistan on the road to self-reliance. Two years ago, in Brussels, we promised to deepen our commitment in three critical areas: building human capital; strengthening institutions and civil society; and promoting regional development. I have always maintained that my institutions would make a permanent commitment to the country. 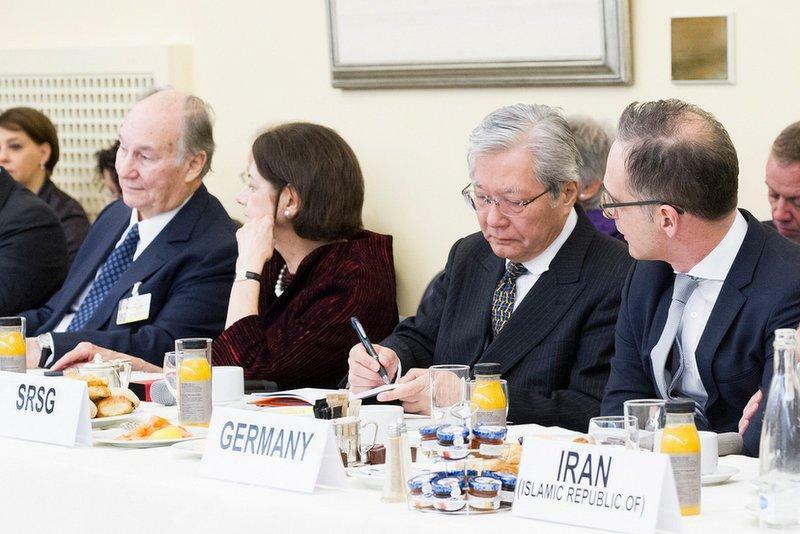 Therefore, on behalf of the Ismaili Imamat and the Aga Khan Development Network, I underline, once again, our enduring commitment to Afghanistan and to its peoples. As we come together to support the National Unity Government, investing in civil society - encouraging private organisations designed to serve public goals - deserves equal attention. Such institutions can be stabilising factors and points of continuity. That is why AKDN supports the full spectrum of civil society, devoting special attention to health, education, culture, community governance, and public-private partnerships to deliver other services. Therefore, since our last meeting, working in cooperation with our partners, we have opened the Bamyan Provincial Hospital, and the Mothers’ Wing of the French Medical Institute for Mothers and Children in Kabul. We have expanded our work with Afghanistan’s education system to improve the quality of learning and to help over 150,000 girls to go to school. In the coming years, we intend to build a full-service tertiary research hospital in Kabul linked to the Aga Khan University, to deepen our work in primary and secondary education, and to expand activities of the regional University of Central Asia. In the area of civil society, our ongoing commitment to Afghanistan’s diverse culture was marked by the recently-completed Chihilsitoon Palace and Gardens, joining over 140 other heritage sites around the country restored by the Aga Khan Trust for Culture with the strong support of the Afghan government and international partners. This year, we have together launched an ambitious plan to rejuvenate the Kabul Riverfront. We are also working directly to harness the power of people coming together: through the Aga Khan Foundation, we have helped thousands of community groups and district authorities deliver the government’s vital Citizen’s Charter and promote more inclusive development in remote areas. To foster regional integration, we have expanded the transmission lines of Pamir Energy from Tajikistan into Northern Afghanistan, providing some villages with power for the first time. We will soon start work on a sixth cross-border bridge and market between those countries, and are in advanced discussions to increase substantially electrification from the border to Faizabad. Mr Chairman, the experience of the past seventeen years has strongly reinforced my conviction that the path to sustainable peace in Afghanistan depends heavily on two key principles – regional cooperation, which is key for national development and stability; and a commitment to pluralism – the country’s diversity must be cultivated as a source of strength. Everyone in all regions should benefit from investment that creates hope for the future. This is a guiding principle of our investment in Afghanistan. I hope that these are principles on which we can all work together, and to which we remain committed in Afghanistan. At the Geneva Conference on Afghanistan today, Mawlana Hazar Imam reaffirmed his commitment to Afghanistan and its people, underlining the importance of regional cooperation and a commitment to pluralism as key factors in the country’s development and stability. Hazar Imam joined Afghanistan’s President His Excellency Mohammad Ashraf Ghani, Chief Executive His Excellency Abdullah Abdullah, Foreign Ministers from numerous countries, and heads of development organisations working in Afghanistan who had gathered in Geneva. The conference aimed to bring the international community together to show solidarity with the Afghan people and government in their efforts for peace and prosperity. Since 2002, AKDN and its partners have committed over US$ 1 billion in development assistance to the country. Its economic projects now span over 287 cities and districts in the country’s 34 provinces. Its social development work began in 1996 with humanitarian relief, and now spans food security, education, and healthcare in 61 districts in seven provinces. Its cultural programmes in Kabul, Herat, Balkh, and Badakhshan have restored over 90 historic buildings. Following the conference, Mawlana Hazar Imam held meetings with Their Excellencies Mohammad Ashraf Ghani and Abdullah Abdullah, with Germany’s Minister for Foreign Affairs Heiko Maas, and with Neven Mimica, EU Commissioner in charge of International cooperation and Development. شهزاده کریم آقاخان، رهبر و پیشوای اسماعیلیان جهان در کنفرانس ژنیو برای افغانستان شرکت کرده و سخنرانی کرد. وی ضمن یاد آوری دست آوردهای شبکه انکشافی آقاخان در افغانستان، تعهد کرد که بصورت مداوم در کنار مردم افغانستان قرار خواهد داشت. وی در پایان سخنرانی اش یاد آور شد که دو راه را برای صلح پایدار در افغانستان مناسب میداند. یکی همکاری های منطقوی و دگر باور به کثرت‌گرایی و پذیرفتن یکدیگر. 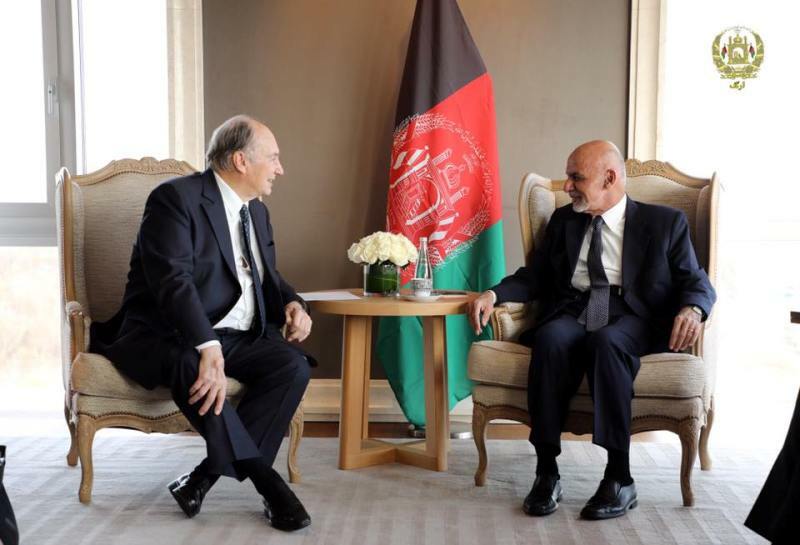 The spiritual leader of Shia Ismaili Muslims Prince Karim Aga Khan reaffirmed support to Afghanistan during a meeting with President Mohammad Ashraf Ghani. 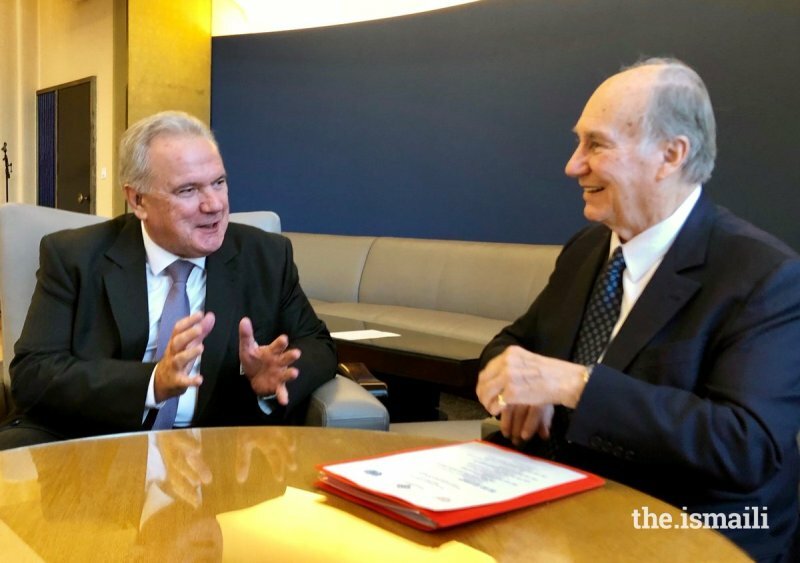 The Office of the President, ARG Palace, in a statement said President Ghani met with His Highness Prince Karim Khan on the sideline of Geneva conference on Afghanistan. The statement further added that the two sides held talks regarding the activities of Aga Khan Foundation, investments, and future progarms in Afghanistan. Prince Aga Khan quoted in ARG Palace’s statement said the Aga Khan Foundation wants lasting peace, stability, and development in Afghanistan and is prepared to assist with the Afghan government and nation in this regard. In his turn, President Ghani thanked Prince Aga Khan for the investments in Afghanistan and assistance with the Afghan government and people in health, rehabilitation of historic sites, and humanitarian assistance. President Ghani further added that the government will provide further facilities to Aga Khan Foundation for investments and activities. KABUL (Pajhwok): Chairman of the Aga Khan Development Network (AKDN) Agha Khan has reaffirmed his enduring commitment to Afghanistan’s and most importantly to its people’s development, according to a statement on Thursday. “I have always maintained that my institutions would make a permanent commitment to the country. 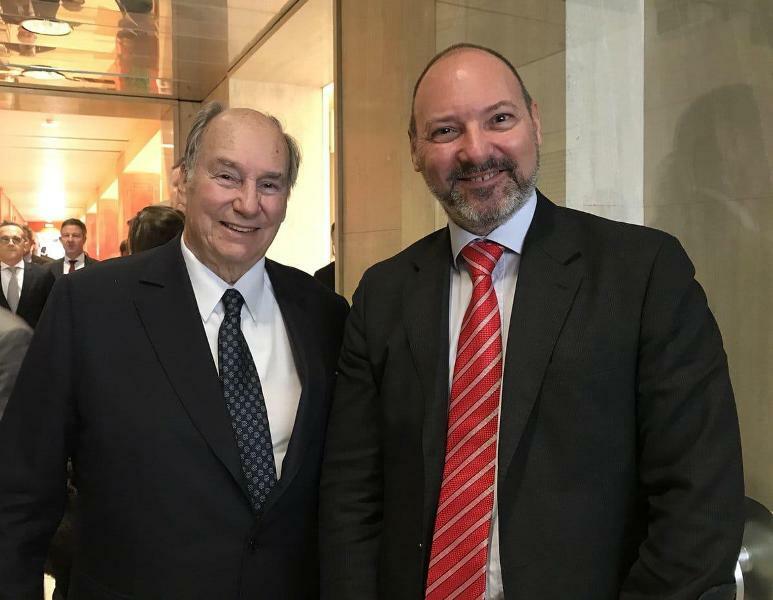 Therefore, on behalf of the Ismaili Imamat and the Aga Khan Development Network, I underline, once again, our enduring commitment to Afghanistan and to its peoples,” he said. “To foster regional integration, we have expanded the transmission lines of Pamir Energy from Tajikistan into Northern Afghanistan, providing some villages with power for the first time. We will soon start work on a sixth cross-border bridge and market between those countries, and are in advanced discussions to increase substantially electrification from the border to Faizabad,” he said.